Do you have old obituaries you would like to share? Mrs. Cora Hastings Arceneaux of Lake Charles, La., passed away in a rest home there Sept. 21. She had been in ill health for several years. Funeral services were held there on Thursday at the Hixen Funeral Home with the pastor of First United Methodist Church conducting. The body was brought to Columbus for interment in Odd Fellows Rest Cemetery, Rev. B. A. Justice Jr. was in charge of graveside services. Mrs. Arceneaux was born in Columbus on Aug. 1, 1882. Her parents were R. A. and Annie Gegenworth Hastings. She was eldest of 3 children born to them. The others, Louise Hastings Buescher and Bennett A. Hastings, preceded her in death. She taught school for several years and was married to J. Forrest Arceneaux in 1905. They had lived in Beaumont and Lake Charles since that time. One son, Toby Hastings Arceneaux, was born to them. He died in 1960. Mrs. Arceneaux is survived by 2 grandchildren, Ilene LeBleu and Toby Arceneaux of Lake Charles. Other relatives include a sister-in-law, Mrs. B. A. Hastings of Columbus, several nieces, nephews and cousins, one of whom is Mrs. Clarence Fowler of Columbus. Colorado County Citizen, September 24, 1970. Verlin Eugene Argo was born January 7, 1937 in the middle of a blizzard in a small farm house in southeastern Oklahoma near the small communities of Armstrong and Caddo, Okla.
Verlin grew up in a loving family of hard-working farmers and railroaders. His father, Frankie Benjamin Argo, and mother, Sally Margaret Tucker Argo, instilled in him and his two younger brothers - Frank "Bud" Argo and Johnny Ray Argo  the importance of love, family, hard work, God's power, and beauty of laughter and music. Verlin went to school in Caney, Oklahoma and met his future wife and mother of his children at a family gathering in 1954. He and Wanda Marie Langham not only walked the stage together to receive their diplomas from Caney High School in 1956, they also walked down the aisle to become husband and wife on Christmas Eve of 1955. Verlin loved family gatherings, especially at the holidays. With that in mind - Michael Zhon Argo was born around President's day - on February 25, 1957. Brenda Dalaine Argo arrived 15 days before Christmas - on December 10, 1959, and Jeffery Dean Argo - rounding off the trio - arrived on Valentine's Day - February 14, 1966. Verlin thrived as an automobile mechanic. He enjoyed working on all types of automobiles - buses, racecars, streetcars, funny cars, etc. - even trying a stint as a stock car racer at Caddo Mills, Texas and in Durant, Okla. from 1957-1959. With the help of many volunteers, he renovated a school bus just in time for America's 2OO Birthday Celebration on July 4, 1976. With the name 'Spirit of 76,' the red, white, and blue bus carried many children in the 1976 parade as well as several other parades in Eagle Lake and the surrounding areas for many years to come. Verlin also renovated his 1965 Oldsmobile Cutlass 442, a model T Ford, 1974 Buick Riviera and, from the ground up - the chassis, roof, even the tires - a 1892 Peugeot Horseless Carriage, which won several awards and ribbons in various parades in and around Eagle Lake. Verlin's first job as a mechanic began in Durant, Okla. He came to Eagle Lake in 1964. He began work at Lake Motors. Later he relocated to Pate's Auto Service, which he later purchased and renamed Argo's Auto Service. In 1977 Verlin sold his business to the Rice Consolidated Independent School District and he became their bus maintenance man. In this job, he not only serviced school buses and cars, but he traveled to many football games with the caravan of school vehicles. Like a postman, Verlin worked all hours of the morning and night in rain, sleet, snow, or hail. Verlin took care of all the buses carrying our most valuable symbols of love - the children of Rice CISD. Verlin retired as Bus Maintenance Director for Rice CISD in 2004, after 27 years of faithful service. Verlin's life revolved around children. Throughout the 70's, 80's, and 90's, Verlin was Scout Leader for Eagle Lake's Boy Scouts of America - Troop 334, leading many boys to become the successful gentlemen they are today. Under his leadership, they enjoyed fishing and camping trips to Camp Stroke and Camp Philmont in Cimarron, New Mexico. For his hard work and highly respected leadership, Verlin was awarded the highest award a Scout Leader can achieve  the "Silver Beaver." His love and work with children continued until he joined Christ. Verlin was a true outdoorsman and avid fisherman, a skill, which he instilled in his children and grandchildren from an early age. He taught them to respect and love the outdoors. Verlin enjoyed traveling in his travel-trailer whenever he was able and he was an active member and Treasurer of the Tri-County Flyers Radio Control Model Club. Verlin loved the Lord and instilled this love in his children and grandchildren as well. He became a charter member of Our Savior's Lutheran Church in Durant, Okla. on December 18, 1959. When he relocated to Eagle Lake, he became a member of Grace Lutheran Church, where he actively worshipped until he joined his Lord on Easter Sunday, April 8, 2007 at 3:10 p.m. with his family hand-in-hand by his side. Verlin was preceded in death by his parents. Remaining to cherish his memory are brothers  Frankie "Bud" Argo, Jr. of Caney, Oklahoma and Johnny Ray Argo of Caddo, Okla.; children - Michael Argo and wife, Dena, of La Porte, Brenda Argo of Eagle Lake, and Jeff Argo and wife, Darlene, of Eagle Lake; grandchildren - Blaine and Bryson Argo of La Porte, Matthew Argo of Palmer, Mass. Ashley Owens and husband, Morgan, of Deer Park, and Sam Argo of Eagle Lake; and great-granddaughter - Kaylie Owens of Deer Park. In addition, Verlin is survived by numerous aunts, uncles, cousins, nephews, nieces, friends, and neighbors. Verlin loved music, family, and laughter. Please remember him when you gather with your loved ones. And laugh, love, and raise your voices with music - to heaven. In lieu of flowers, Verlin's family requests contributions be made to: Grace Lutheran Church of Eagle Lake, Texas; the Eagle Lake Volunteer Fire Department, or a charity of your choice. Pallbearers include Verlin's nephews, Buddy Ray Argo, Jimmy Argo, Scott Argo, Tony Argo, Todd Argo, and Max Argo. Sympathy is extended to the family in their loss. Mrs. Oma Strunk Ant, age 67, of Lissie, passed away Thursday, January 14 at the Gulf Coast Medical Center Hospital in Wharton following a lengthy illness. 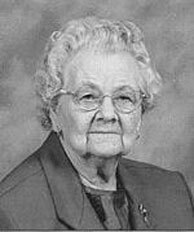 Funeral services were held for Mrs. Oma Strunk Arlt Saturday, January 16 from the Dulany Funeral Home Chapel in Eagle Lake with Rev. E. B. Beasley, pastor of the United Methodist Church of Van, Texas, Rev. Earl Locke, pastor, Lissie United Methodist Church and Rev. Fred Chambers, pastor of the Friendship Assembly of God in East Bernard officiating. Special music was rendered by soloist, Dennis DeLaughter, who sang "Amazing Grace" and "My Peace. Burial was at Lakeside Cemetery in Eagle Lake. Mrs. Oma Strunk Arlt was born August 1, 1920 in Lissie to Omar R. Strunk and Bertha Elizabeth Hodson Strunk. She grew up and lived in Lissie all of her life. She married Tommie George Arlt in the Lissie United Methodist Church on October 31, 1945. A marriage that lasted till his death March 31, 1986. Mrs. Arlt graduated from Eagle Lake High in 1939 later obtaining her license in Vocational Nursing. She worked in Wharton many years in the Caney Valley Hospital before retiring 20 years ago. Mrs. Arlt was also an active member of the Lissie United Methodist Church. Survivors include daughter and son-in-law, Phyllis and Anthony Hlavinka of East Bernard; son and daughter-in-law, Tommy Michael and Melissa Arlt of Humble; brother, Bob Strunk of Lissie; grandchildren, Brian, Stephen and Thomas Hlavinka all of East Bernard; and niece, Mrs. Elizabeth Ann Ullmann of Wharton. Pallbearers were Jerry Brice, Dr. James Dee, Michael Alderson, Terry Vasina, Dan Gertson, Lee Roy Guthman, Kenny Vasina, A. T. Leveridge, Jr.
Honorary pallbearers were Lefty Vasina, Howard Wiese, F. C. Hlavinka, Butch Carden, Emmett Kolle, Rollie Stroud and Victor Espinosa. The old adage that Misfortunes never come singly was truly exemplified in our city when announcement was made of the death of young Claude Armstrong, which occurred at the family home early Sunday morning, after a brief illness. Claudes mother, Mrs. Louisa Armstrong, died the Wednesday previous. Claudes address was not known at the time, and he did not learn of his mothers death until too late to be present at the funeral. He came in a day or two afterward and seemed overwhelmed over the sad event. He was taken ill Saturday evening and despite every effort, passed into the Great Beyond at 4:15 Sunday morning. The remains were laid to rest in the Masonic Cemetery Sunday afternoon, Revs. J. C. Wilson and C. E. Dearman conducting the funeral services. Claude Alonzo Armstrong, youngest son of J. J. Armstrong, Sr., was born in Weimar, Oct. 26, 1884, attended our public schools, and remained here up to early manhood. His death occurred June 13, 1925. In early life Claude evinced a desire to travel and visited nearly every state in the union, never forgetting home and home ties, however, and it was his custom to return every few months and spend a few days with the loved ones at home. He was a young man of many excellent characteristics, an expert painter and decorator, of agreeable disposition, and had many friends wherever known. His death at such an early age is deeply and sincerely deplored by all. Our heartfelt sympathy goes out to the doubly bereft father, sister and brothers. Graveside services were held at Masonic Cemetery here Wednesday morning, Jan. 24, for Daniel L. Armstrong Sr., 91, of Houston, a former Weimar resident. A son of Mr. and Mrs. J. J. Armstrong Sr., he was a native of Indianola, Texas, and had lied in Houston 60 years. The Armstrong family moved to Weimar in about 1879, when D. L. Armstrong was 2 years old. Surviving are three daughters, Mrs. Gladys Sick, Miss Lucille Armstrong, and Mrs. Elizabeth Diamond; two sons, Daniel L. Armstrong Jr. and Dr. John W. Armstrong of Lewiston, Idaho; 13 grandchildren and three great-grandchildren. Many hearts throughout this section were saddened Wednesday of last week when news of the death of that grand old citizen and patriot, Mr. J. J.. Armstrong, Sr., was flashed here and there among our people. It was known that Mr. Armstrong was in serious condition for days preceding his death, but all hoped that a change for the better might come and that he would again be able to greet his many friends. But it proved a vain hope. This time the Great Master above decreed that this good citizen should come to his final resting place, and His decree was unchanging and irrevocable. Rev. W. L. Hightower, local Methodist pastor, had charge of the funeral service, and was assisted by Revs. G. T. Hester of Staples, J. E. Morgan of Columbus and V. L. David, local Baptist pastor. It was one of the most touching funeral services ever witnessed in our city. The Methodist choir, assisted by members of other choirs of the city, had charge of the song service and rendered several sweet and touching gospel hymns which decedent in his lifetime had always loved so well. In the song service Brother Carroll, who has charge of the music and song features of the Baptist revival, rendered valuable aid. The floral decorations were many and beautiful. John Joshua. Armstrong, son of William McCormick Armstrong and Sarah Sheffield Beard, was born in Sulphur Springs, Talledega county, Ala., March 6, 1845, and was 88 years of age on the 6th day of this past March. He moved with his parents to Texas in May, 1852, first settling at Texana, Jackson county, on the Navidad River. He joined the Confederate Army in January, 1863, when a mere lad of less than 18 years. He served with distinction in the 33rd Texas Cavalry under Captain John Breckenridge In Company K, under General Briggs' command. He was discharged from service in May, 1865, He was united in marriage to Miss Louisa Lewis of' Beaumont Dec. 31, 1868. To this union eight children were born. His loving wife died in 1925 arid four children preceded him to the grave. The four surviving children--are Mr. Fred W. Armstrong of Goliad, Mr. John J. Armstrong, Jr., of Weimar, Mr. Daniel L. Armstrong of Houston and Mrs. Evie Fulford of Weimar; six grandchildren are also among the survivors. Mr. Armstrong enjoyed wonderful health throughout his life, almost up to the very end. For many years he was engaged in blacksmith and wheel wright work here in Weimar, and contributed during that time two inventions which were patented by him and have for many years, and are still, proving of benefit and help to mankind. We refer to the Armstrong corn and cotton planter and the Armstrong posthole digger. Both have proven of great benefit to the farmers of the world and will continue to do so for many years to come without a doubt. He gave to the world those inventions that he might help his fellow man in making labor easier. He made no great fortune out of either, but was content to know that he had helped his fellowman. Mr. Armstrong moved to Weimar in July of 1878. He was a charter member of the fire company and helped to make the first pump ever used to extinguish fires--also helped to use it on the Gerhardt residence fire, saving the residence by its use. In August, 1866, Mr. Armstrong joined the Methodist Church, South, taking a vow at that time to wait upon its ordinances and support its institutions, a vow he held sacred up to the time of his death, as many of us can and do attest. Mr. Armstrong thruout his long life always essayed to bring sunshine and happiness into the hearts of those about him. Never a visit to any home or business institution but that a cheery greeting and wish of "God bless you in your work" was heard from him. It has cheered many a tired spirit when all looked dark and dreary. The optimism and sunshine which radiated from him wherever he went was like a lighthouse beacon unto many a shipwrecked sailor. In our own experience and acquaintance with this good man, lasting from the day the writer landed in Weimar up to the very last time we saw him, we felt benefitted and encouraged whenever and wherever we met him. That was his way! In his passing it feel that we've lost one of the nearest and dearest friends that mankind ever had. Brother Armstrong has gone from among us, but we can say In all truthfulness he will never be forgotten. In his passing unto that brighter and better world we drop the tear of sympathy with his loved ones left behind. He has only gone on a little ahead, to be with the loved ones who preceded him to the grave years ago, where he will await the coming of those left behind. On that bright and peaceful shore. And just like his, shall live forevermore. Whom you and I must face some day. Where there are angels everywhere. John Joshua Armstrong, Jr., died at the family home here Tuesday morning, January 9, after suffering a heart attack on Saturday. He had been in failing health for several years. Funeral services were held this Thursday afternoon at 3 o'clock, from the Hubbard Funeral Home, with the Rev. S. R. Horwood local Methodist pastor officiating. Interment was in the Masonic Cemetery. Rev. 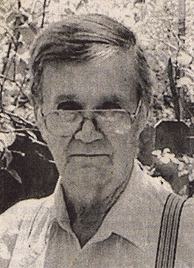 G. T. Hester of Lytle, Texas, former pastor here, assisted in the services. A son of the late Mr. and Mrs. J. J., Armstrong, Mr. Armstrong was born Jan. 19, 1874, at Texana, near Edna in Jackson county. He came to Weimar with his parents when he was 5 years old. He was 70 years old at time of death. Mr. Armstrong joined the Methodist Church here while Rev. J. J. Mason was pastor. He was united in marriage to Miss Lottie Falwell on June 14, 1899, in Weimar. By occupation he followed the trade of painter. Survivors include his widow, Mrs. Lottie Armstrong; one daughter, Mrs. Eleanora Simmons of Hutchinson, Kansas; two grandchildren, Kenneth Armstrong and Mary Harriet Simmons; one sister, Mrs. Evie Fulford of Weimar; one brother, Dan L. Armstrong of Houston. The Mercury extends sincere sympathy to the bereaved family. Funeral services for Mrs. Lottie Fallwell Armstrong, at 90 the oldest native resident of the Weimar area, were held Tuesday morning at Hubbard Funeral Home, with burial in Masonic Cemetery. Rev. Lee Geldmeier, pastor of First Methodist church, officiated. Mrs. Armstrong was the church’s oldest living member, having joined 60 years ago. Ill the past several weeks, she was admitted to Youens Memorial Hospital at 2 a. m. Sunday, June 26, and died at 8:40 Sunday night. Born March 31, 1876, in this county, she was a daughter of John and Charlotte Fallwell, one of Texas pioneer couples. She was married to John J. Armstrong Jr. on June 14, 1899. Mr. Armstrong died January 9, 1945. Mrs. Armstrong is survived by one daughter, Mrs. Eleanora Simmons of Austin; two grandchildren, Kenneth Simmons and Mrs. David Sebesta; and three great-grandchildren. Her gandson-in-law, Rev. David Sebesta of Austin, assisted in the services. Pallbearers were Paul Ammann, Quinn Ammann, Leslie Townsend, Walter Williams, Henry Brasher, and Archie Frazee. In apparent fairly good health just twenty minutes previously, Mrs. Louisa Armstrong, beloved life companion of Mr. J. J. Armstrong, Sr., on Wednesday evening of last week had a sinking spell and soon passed away. Mrs. Armstrong had not been in robust health for a long time, but her cheerfulness probably deceived all, and the end came as an awful shock to her loved ones. Funeral arrangements were made and the body laid to rest in the Masonic Cemetery last Thursday afternoon, Rev. J. C. Wilson and C. E. Dearman performing a touching burial service for this truly good woman. Mrs. Armstrong (nee Lewis) was born at Beaumont, Texas, May 27, 1845. She moved to Rockport and was married in that city to Mr. Armstrong Dec. 30, 1868. Mrs. Armstrong was converted in the year 1869, joined the church and ever afterward lived a consistent, christian life. Her death occurred June 10, 1925. She was the mother of eight children, four sons and four daughters, three of whom are dead (Since above was written another son has passed away). Sons living are Fred now on a health seeking tour in the west, John of this city, Dan of Houston and Claude. Also the daughter, Mrs. Eva Fulford of this city. She is also survived by her aged, heartbroken husband. Mrs. Armstrong was a truly good woman in every sense the term implies. She had lived in our city for a period of forty-five years, and was known and highly esteemed by all. Her exemplary chiristian character, her devotion to family, friends and church, her quiet, peaceful life, won the admiration and esteem of everyone who knew her. In earlier life she was devoted to church work, and it was with the greatest reluctance that ill health and aging years forced her to give up the work she loved so well. Few sweeter, christian characters ever lived in our community, and the passing away of this good woman is viewed with greatest regret by all. Our heartfelt sympathy goes out to her bereaved ones. A death that occasioned much sadness throughout this section occurred at the family home Friday morning, January 29th, at 8 o'clock, when the poor, tired spirit of Miss Sallie Armstrong, after a two-year struggle with that dread disease, tuberculosis, gave up the fight and passed unto its Maker. The lovely young lady, while a trained nurse some two years ago, contracted this fell disease, and although everything possible was done to counteract the effects of same and effect a cure, it was all of no avail. She spent a number of weeks at Comfort, out west of San Antonio, and a number of months at Carlsbad, but although temporary relief was given, it was not lasting, and the grim disease further fastened its hated tentacles upon her system, until a few months ago when it was realized that there was no possible hope, when she returned home to die among her loved ones and friends. During this long illness no word of complaint ever passed her lips. At all times, as she had been in health, she bore up with a smile and her cheery greeting to those around her, often deceived them. She comforted and cheered those about her, in spite of her sufferings and her realization that death, for her, was near at hand. In retaliation for the good she had done in this life, death came to her peacefully and sweetly, and she "fell asleep in the arms of Jesus." Miss Sallie Armstrong was indeed and truth one of nature's noble women. From early childhood she was a comfort and pleasure to all about her. Of cheerful disposition, with a heart overflowing with the "milk of Human kindness,: her greatest ambition in life was to give pleasure to those about her. She was ever a welcome companion in all circles of life; and in the home life she was a sunbeam in reality and truth. A dutiful daughter and thoughtful sister, she was ever a comfort to those at home, and in her death they naturally feel that the brightest jewel of all has been taken Miss Sallie was a graduate of the Charity Hospital, New Orleans, and spent several years of her life at her chosen profession of trained nurse, in which she was exceptionally successful, her cheery disposition bringing many a ray of sunshine into the sick room, while her attention to patients was unflagging. She was a daughter of J. J. Armstrong, Sr., and wife of this city, and was born and raised in Weimar. Surviving her are her parents, one sister, Miss Eva Armstrong of Houston, and four brothers, Fred W. and Dan Armstrong of Houston, and John, Jr., and Claude of this city. The funeral took place at the Masonic cemetery Saturday afternoon, being conducted by Rev. Roy G. Rader, pastor of the Methodist church, in a most touching service. Despite the inclemency of the weather, the funeral was largely attended. The pall bearers were T. W. Hill, R. L.Watson, W. Kindred, Everett Ammann, J. O. Boettcher, R. H. McCormick. Our sincere and heartfelt sympathy goes out to Brother Armstrong and his estimable family in the heavy loss they have sustained. Funeral services for Miss Winnie Davis Armstrong, 83, of Eagle Lake were held at the Mill-Bauer Funeral Home in Eagle Like with Rev. Mike Barton officiating. Interment was in the Masonic Cemetery. Miss Armstrong was born in Attala County, Mississippi and was. the daughter of Walter R. and Ella Hancock Armstrong. She taught school in Mississippi for 17 years and then worked for the Mississippi State Board of Health for 23 years. She is survived by two sisters; Mrs. Paul "Gladys" Emmons, and Mrs. M. M. "Agnes" Jones, both of Eagle Lake; one niece, Mrs. O. J. James, Jr., of Statesboro, Georgia; one nephew, Walter M. Jones, of Falls Church, Va.
She was a member of the Presbyterian Church. Funeral services for Antonia Francis (Tonie) Arndt were held September 26 at Sts. Peter & Paul Catholic Church in Frelsburg, with Father Bockholt officiating. Burial was at the church cemetery. Antonia Arndt was born April 26, 1901 to Michael and Mary Krenek; Married Arnold Arndt on April 5, 1924 in Frelsburg. She lived most of her life in Fayette county where she worked as a housewife and store operator. Antonia was a member of St. Anne's Altar Society. Mrs. Arndt was preceded in death by her husband of 49 years in 1973. Survivors include her five sisters, Millie Janicek, Bellville, Fannie Krenek, Lone Oak, Evelyn Zeigler, Conroe, Marie Beck, Houston, and Lillian Krenek, Austin; four brothers, John Krenek, Houston, Edwin Krenek, Pisek, Walter Krenek, Columbus, and Victor Krenek, Liberty. Pallbearers include Mike Ziegler, David Keck, Albert Noska, Charley Moeller, Jerry Ganzer, and John Lindemann. Ralph E. Arndt, 31, of Bedford, Texas, died Friday, June 24, 1994 in a Fort Worth medical center. Born Aug. 31, 1962, in Detroit, MI, he was the son of Edward and Muriel (Cummings) Arndt. On June 6, 1985, he married Vickie Hinze. Mr. Arndt was a self-employed roofing contractor and a Lutheran who had resided in Bedford area for the past four years. Funeral services were held Tuesday, June 28, at Henneke Funeral Home in Columbus, with Rev., Brent Pittman officiating. Interment followed in Cheetham Cemetery near Sheridan. Pallbearers wee Alton Balusek, Darryl Hinze, Jason Chovanetz, Jeffery Chovanetz, Dwayne Howerton and Dave Fitzpatrick. Mr. Arndt is survived by his wife, of Bedford; two daughters, Brittany Arndt and Haley Arndt, both of Bedford; father and step-mother, Edward and Delores Arndt of Highland, MI. ; sisters, Pam Rossetto of Highland, MI and Darlene Guerrero of Farmington Hills, MI and step-brother, Willie Urban, also of Michigan. Brief services were held here last Thursday, August 15th for Ivan T. (Buck) Arnett, 57 of South Houston who died last Tuesday in Houston. Services were held at 10 a.m. in Houston, after which the body was brought overland to Mill-Bauer Funeral Home for brief services at 4:00 p.m. followed by interment in Lakeside Cemetery under the auspices of the South Houston Lodge 1295. Survivors include one daugther, Mrs. Doris Jean (Johnny) Parker of Houston; two sisters, Mrs. E. E. Stell of Houston and Mrs. Bell Moore of Highlands; one brother, C. J. Arnett of Houston; and nieces and nephews including Mrs. A. D. Cassady, Mrs. Walter Lee Bauer and Raymond Lee Kohleffel of this city. Mr. Arnett was a brother to the late Mrs. Mary Lee Kohleffel of this city. On evidence developed in the inquest held by Justice of the Peace Max Conner at Eagle Lake on the death of J. D. Arnett, a farmer living near that city, G. M. Hams was placed under arrest and lodged in the County Jail here last Saturday. Examining trial was held in Squire Connors court yesterday afternoon and Hams was bound over to the action of the Grand Jury in the sum of one thousand dollars, and the bond was promptly made. Townsend and Scoggins of this city are representing the defendant. Funeral services were held at the family residence in Garwood last Friday for Frank Arnold Sr., aged 8I, who died the preceding Wednesday. Rev. Arnold Anders officiated and burial, was in the Catholic cemetery at Nada. Rosary was said at the family residence Thursday. at 8 p.m.
Mr. Arnold, who was born in Austria June 29, 1874, came. to this country when he was 12. Since that time he had lived at Garwood. He was a retired ginner and member of St. Mary's Catholic church. His wife, the former, Amelia Schneider, survives; also one daughter, Mrs. Annie Rek of Garwood and 2 sons, Albert of Garwood and Frank Jr. of El Campo, and 8 grandchildren. Pallbearers were Albert J. Arnold, El Campo, and Eugene and William Rek, Edward Pikulski and Leonard Swoboda, all of Garwood. Mrs. J. S. Arnold, one of the pioneer citizens of Lissie, died at her home at that place Monday, interment taking place in the Lakeside cemetery the following afternoon. Mrs. Arnold was born in 1834 and has lived many years at Lissie. The pall bearers, Geo. B. Smith, L. H. Howard, J. B. Goock and G. E. Thomas. The Headlight extends its sincerest sympathy to the grife[sic] stricken husband and other sorrowing relatives. Mr. J. S. Arnold, one of the oldest and most beloved citizens of Lissie, passed away in Eagle Lake at the home of his daughter, Mrs. O. E. Sinclair, at one o’clock Wednesday morning. John Stauffer Arnold was born May 4, 1820, at Chambersburg, Pennsylvania, making him 93 years, 7 months and 8 days of age at the time of his death. When a boy of 8 years he moved with his parents to Illinois where he grew to manhood. In 1852 he was there married to Miss Hannah Strickler, who died in September of 1913. Unto this union twelve children were born, one having died in infancy. The eleven surviving children are Mrs. George Rowley of Jamesport, Mo; Wallace Arnold of Lissie; Samuel Arnold of Kansas City, Mo; Joseph Arnold of Mt. Carroll, Ill; Mrs. E. E. Mitchell, Mesquite, New Mexico; Ira E. Arnold, Trenton, Mo; Simon and Willis Arnold, Jamesport, Mo; Mrs. H. E. Price, Jamesport, Mo; Mrs. O. E. Sinclair, Eagle Lake and Chas. Arnold of Lawrence, Kansas. Early in life Mr. Arnold united with the German Baptist Dunkard church but soon left that fold for the “Church of God” and for many years was an active minister of that church, of which he was a member until his death --- never faltering in his faith nor wavering in his hope of eternal life. In 1882 Mr. Arnold moved to Missouri where he lived until 1900, when he came to Lissie, Texas, where he (fold in newspaper; cannot read). Mr. Arnold was a kind husband and father and a consistant believer and follower of Christ; a ---ful business man, honorable and upright in all his dealings with his fellowman. For many years he was engaged in the mercantile business in Lissie. The death of this fine old gentleman is regretted by the people generally throughout the entire community for Mr. Arnold was highly esteemed by every person who knew him. His death is mourned by eleven children, thirty-seven grandchildren, and eighteen great grandchildren and two great great grandchildren. Funeral services were held at the home of his daughter, Mrs. Sinclair, at 4 o’clock Wednesday afternoon and were conducted by Rev. J. W. King, and although the weather was awful, the funeral was largely attended. Contributed by Grace Cooper with note: J. S. Arnold was buried beside his wife Hannah at Lakeside Cemetery in Eagle Lake, Texas. Nada, November 21 - Funeral services for Joe Arnold were held at the St. Mary's Church here Sunday November 18, at 9:30 o'clock, with Rev. A. J. Weber officiating at the ceremonies. Burial was in St. Mary's cemetery, Rev. A. J. Weber and Rev. George Baxter of El Campo officiating. Mr. Arnold died at El Campo, Friday, November 16. He is survived by his wife and two children; his parents, Mr. and Mrs. Frank Arnold; two brothers, Albert of Garwood and Frank of El Campo and one sister Mrs. Wm Rek of El Campo. Pallbearers were Albert and Frank Arnold, Wm Louis, J. V. and Fred Ripple. Kitty Belle Arnold, 84 of Houston passed away on Wednesday December 20 1995. She was born on August 29, 1911 in Devine was raised in Eagle Lake and attended TCU in Fort Worth. Mrs. Arnold was a resident of Houston for 60 years. She was a member of Central Presbyterian Church. She was preceded in death by her husband S.E. (Hank) Arnold. Survivors include her daughter Betsy Arnold Cates; son. Jack Arnold; brothers Robert J and Merlin N. Ney; five grandchildren; and. three great grandchildren. Funeral services were held Saturday December 23 at 10 a.m. from the Chapel of Geo. H. Lewis and Sons in Houston with Dr. John D. Craig and the Rev. Guinn Blackwell-Eagleson officiating. Graveside services were held in Eagle Lake on Saturday December 23 at 12:30 p.m. at Lakeside Cemetery. Geo. H. Lewis and Sons of Houston was in charge of the arrangements. Sympathy is extended to the family in their loss. Mrs. E. M. Arnold, 49, of Houston, died suddenly at 7:30 a.m. Monday. She had been ill for several weeks, but immediate death was not expected, She was very active in religious, literary and social affairs of the city and for several years taught a Sunday school class at St. Paul's Methodist Church, She formerly was president of the Woman's Auxiliary of the Harris County Medical society. Her husband is an eye, ear, nose and throat specialist of Houston. She is survived by her husband, Dr. Arnold; sister, Mrs. T. R. Brandon, and nephew, Thomas S. Brandon, both of Palacios; brother, H. B. Palmer, and an uncle, Charles Boedeker, both of Houston. Mrs. Arnold was born here, but has lived in Houston for a number of years. Funeral services were held at Odd Fellows Rest at 11:45 a.m. September 4th. William F. Arnold, young business man, and son of Frank Arnold, prominent ginner of Garwood expired early Thursday. FuneraI services are to be held from the family home Friday at 9 30 a m. thence to the Nada Catholic Church for Requiem High Mass at 10 a.m.
Interment will be in the Nada Cemetery. Survivors have the sincere sympathy of many friends throughout the county. Mr. John S. Arrington, husband of Mrs. Empress Arrington, died at the family residence in this city, Tuesday shortly after the noon hour, after a long illness, and his remains were laid to rest in the cemetery at Borden Wednesday morning. Mr. Arrington was for many years a resident of Columbus, and was perhaps better known in that city than here. He was a son of Mrs. Stephen Harbert of Borden, a gentleman of many prepossessing characteristics, and one whom to know was to esteem and admire. Our heartfelt condolences are extended the bereaved in the sad loss they have sustained. Cadet S. J. Arrington, of our county, in attendance upon the A. & M. College, died last Tuesday, and was buried at Borden on Wednesday. His afflicted mother, Mrs. Stephen Harbert, was on her way to Bryan to see him, and met the corpse at Houston We tender the bereaved relatives and friends of this truly promising young man our since condolence in the deep affliction. William Burton "Bill" Arrison, 42, of Rock Island, died suddenly from injuries received in an auto accident March 21, on Hwy. 90A near Altair. He was born in Tilden, Neb., Oct. 21, 1959 to William Conrad and Arlene Marie (Schappman) Arrison. A graduate of Tilden High School, class of 1978, he served honorably with the U.S. Navy as a boatsman mate including service aboard the destroyer USS Summers in the Indian Ocean during the Gulf War. He and Cynthia Denise Risner were married in Houston, on Aug. 21, 1989. Arrison led a career in the flooring industry for the past 20 years and was president of The Floor Store, Inc. of Houston. He and his family have resided in the Rock Island area since 1995. He ws preceded in death by his mother. He is survived by his wife, Cindy of Rock Island; children, Lauren Michael Sublett, William Peyton Arrison and Wesly Burton Arrison all of Rock Island; father and step-mother, Bill and Linda Arrison of Columbus; sisters, Rita McDonald of Rock Island and Beth McLaughlin of Temecula, Calif.; brother, Randy Arrison of Battle Creek Neb. ; and wife's parents, Billie and Fran Risner of Florence, Ala.
Funeral services were conducted March 24, from the Chapel of Dulany Funeral Home in Eagle Lake, with the Rev. Nick Williams, pastor of Rock Island Full Gospel Church officiating. Interment followed in Myrtle Cemetery in Rock Island. Pallbearers were Tommy Risner, James Donahue, Jimbo Coyle, Mark Stavinoha, Larry McDonald, Mark Robinson and Larry Werland. Annette Edna (Hudec) Arterburn, 67, of Weimar, died July 16 at St. Luke's Hospital in Houston. Funeral services were held Tuesday, July 19 at St. Michael Church with Father John Bily officiating. Interment followed in St. Michael Cemetery. Annette was born July 1, 1938 to Henry and Edna (Rerich) Hudec in Weimar. She was raised in Weimar. She attended Wildwood School and St. Michael School. Annette graduated from Weimar High School in 1956. After graduation Annette moved to Austin, where she attended secretarial school where she roomed with a couple of her Weimar girlfriends. Annette married in 1958 and had three daughters that she happily devoted her life to. Annette's daughters are Mona Desselle, Shannon Dreitner and Kelly Heger. After leaving Austin, Annette raised her family in various places around the world such as Abilene; Okinawa, Japan; Sioux Saint Marie, Mich. and then finally back to the place she loved, which is Texas. Annette used her administrative skills in several jobs including her time at NL Baroid in Houston for eight years, a job that she truly loved and talked about for many years afterwards. During her time at NL Baroid, Annette met her beloved husband Jim Arterburn. They married on Aug. 15, 1981 in San Felipe State Park. Jim turned to the Catholic faith after meeting Annette. They were then married at Sacred Heart Catholic Church in Brookshire. Starting their new life together Annette and Jim owned a couple of their own businesses, an ice cream shop in Katy and a travel business where they traveled the world and entertained world travelers. Their personal travels included trips to Hawaii, Mexico, Canada, Germany, Czech Republic, Austria, United Kingdom, Scotland, Spain and Italy. While in Italy, their trip included a visit to the Vatican where they were fortunate enough to be in the audience on the day of the Pope's weekly appearance. Annette and Jim also traveled widely in the Continental United States. Annette was a tour guide for the city of Houston, NASA, Galveston and the painted churches of central Texas. On the path of her travels she met and gathered friends from Siberia to the Hawaiian Islands that she treasured for life. In 1995 Annette and her daughter Mona made a trip back to Okinawa, Japan to revisit the island that the family had become so fond of. In 1996 Annette and her granddaughters Jessica and Danielle Heger traveled to California to visit Disneyland and Los Angeles where they had a memorable vacation. Around 1997 Annette was forced to give up her world travels due to health problems but filled her time with volunteer work at Villa de Matel, a retirement and hospice center for the Sisters of the Incarnate Word. She also said that the work she did with the sisters was the most fulfilling and rewarding job she ever had. In 2003 Annette and Jim retired and moved to Weimar, where she founded the Weimar branch of the Red Hat Society. She was also involved in the Catholic Daughters, Gedenke and various prayer groups. Annette was always happy to lend a helping hand to family and friends including driving to out of town doctor appointments, taking friends on one day shopping excursions, going to museums and just taking family and friends to see the sites of the "big city." She enjoyed every Christmas, showing her grandchildren the lights of downtown Houston. Annette was also active in making rosaries for donations to various causes through the Catholic Daughters. One of the greatest joys of Annette's life were her seven grandchildren and two great-grandchildren. Annette's grandchildren are Jessica Heger Vavra, Danielle Heger, Zachary, Henry and Mercedes Dreitner, Basil and Lucas Desselle. Her great-grandchildren are Bryce Heger and Hunter Vavra. Along with her husband Jim, Annette is survived by her father Henry Hudec Sr.; her siblings Carolyn Dorsey, Henry Hudec Jr. and Thomas Hudec, all of Weimar; her daughters, Mona Desselle of Weimar, Shannon Dreitner of Yoakum and Kelly Heger of Bay City; and seven grandchildren and two great-grandchildren. Annette was preceded in death by her beloved mother, Edna "Tootsie" (Rerich) Hudec. Mrs. A. J. Aschenbeck was appointed Wednesday by County Judge J. M. Rutta to serve out the unexpired term of her late husband, Commissioner A. J. Aschenbeck of Precinct 3. The commissioner died at about 4 p.m. Sunday at his farm home in the Brushy community after a lengthy illness. Mrs Aschenbeck will serve in his place until January 1, and does not intend to seek re-election to a full term. Four or five persons had announced for the position, which pays in excess of $6000 a year, after Mr. Aschenbeck stated last week he would not be a candidate again. Reportedly at least two others plan to file. Funeral services were held Tuesday morning at Columbus, with burial in the Kaiser Cemetery near the Aschenbeck home. Rev. G.. Wolf, pastor of St. Paul's Lutheran Church of which Mr. Aschenbeck was a member, officiated. The courthouse was closed until 2 p.m. Tuesday and all officials attended the funeral. Mr. Aschenheck, 57, was serving his sixth term, having been elected first in 1944. Born in the Frelsburg area, a son of the late Mr. and Mrs. Fred Aschenbeek, he had been a farmer until he was elected commissioner. Survivors In addition to the widow are a son Herbert, who is in the Army; two daughters Mrs. Leroy Weishuhn and Mrs. Lester Weishuhn both of Frelsburg; two sisters, Mrs. Henry Marek and Mrs. Kerven Schmidt both of Houston; and five brothers, Arthur, Anton and August Aschenbeck of Shelby and Arnold and Albert of Houston. Funeral service for Tillie M. Aschenbeck of Columbus were held Tuesday at Trinity Lutheran Church in Frelsburg. under the direction of Henneke Funeral Home. The Rev. Lynn Rostedt officiated. Mrs. Aschenbeck died Sunday at Columbus Community Hospital at the age of 78. She was born on Dec. 24, 1901 at Brushy. The daughter of Willie A. Meyer and Emily Schmidt Meyer. She was married to Alfred J. Aschenbeck on Nov. 9, 1921. He preceeded her in death on April 15, 1956. Mr, Aschenbeck served as County Commissioner for a number of years. Upon his death, Mrs. Aschenbeck was appointed by the commissioners court to succeed her husband in office, serving only until the next election. She resided all her life near Frelsburg and was a member of Trinity Lutheran Church. Survivors include two daughters. Mrs. Leroy (Leona) Weishuhn and Mrs. Lester (Lillie) Weishuhn, both of Frelsburg; one son, Herbert Aschenbeck of Frelsburg; one sister, Mrs. Dela Little of Frelsburg; two brothers, Ewald Meyer of Alleyton and Leo Meyer of Ellinger; six grandchildren and four great grandchildren. Interment was at Kaiser Cemetery in the Brushy community. Pallbearers were Nelson Aschenback, Herman Aschenbeck, August Aschenbeck, Jr., Wilkens Aschenbeck, Barnell Marek, Darrell Marek, Everett Schmidt and Danny Marek. 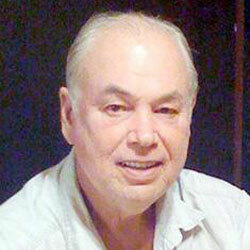 Hugh M. Ashcraft, 72, of California, passed away Feb. 27. He was born in Rosenberg Aug. 25, 1932 to John and Pauline Ashcraft. He began his oilfield career with Wilson Supply in 1950 and spent some time with Vinson, Cinco, Williams-Patterson, his own pipe company. He later went to work for an oilfield pipe hauling company. He moved to California after a lifetime in Texas, when his health was failing. He is survived by many family and friends. In lieu of flowers, please send donations in the name of Hugh Ashcraft to Vitas Hospice, 9655 Granite Ridge, Suite 300, San Diego, Calif. 92123. A 50-year resident of the Glidden and Columbus area, she was born May 8, 1909 in Sylvester, Texas and was the daughter of Jo Calvin and Mary Etta (Shipley) Allison. A nurse's aide, Mrs. Ashcraft was a member of the Glidden Baptist Church. Funeral services were held Sunday, Dec. 12 at Henneke Funeral Home, Columbus, with Rev. Gerald Hendon officiating. Interment followed in the Woodmen of the World Cemetery in Rosenberg. She is survived by her son and daughter-in-law Hugh and Teresa Ashcraft of Houston; grandchildren John West Ashcraft, Gina Marie Baker, Audrey Ann Konigsmark and Rebecca Jean Malone and five great-grandchildren. Funeral services were held at Untermeyer Funeral home Saturday for Mrs. Lula Maud Ashford, 88, who did in Columbus hospital Thursday. She had been ill for some time. The Rev. W. F. Hathaway Jr. of Victoria and the Rev. John Wesley Jones of Columbus officiated and burial was in Odd Fellows Rest cemetery. Mrs. Ashford, whose maiden name was Carroll, was born in Sparta, Bell county, Feb. 2, 1875. She was married to R. H. Ashford at the age of 18 and the couple moved to Columbus, where she had lived since. Her husband died Oct. 13, 1918. She was a member of the Methodist church. She is survived by 3 daughters, Mrs. C. H. Schneider of Stephensville, Mrs. H. W. Gabitzsch of Houston and Mrs. Rand Thrasher of Columbus and one son, Starkey Ashford of East Aurora, N.Y. He was here for the funeral. Two children died earlier. Pallbearers were L. Boyd Smith, Don McAllister, Louis Waldvogel, Raymond Zajicek, Frank Chovanec and Forrest Brooks. Mr. R. H. Ashford died at his home west of town last Saturday night and was buried Monday at 10 o'clock a.m. in Odd Fellows's Rest, Rev. C. P. Morgan, pastor of the Methodist church officiating. Mr. Ashford had been ill for several months and tho hopes had been held out for his recovery he passed quietly away Saturday night. He was one of the old Colorado County citizens having been born and raised here. He is survived by a wife, four daughters and one son. Bufford S. Ashley Jr., 61 of Sheridan, passed away on Oct. 9 in Eagle Lake. He was born in El Campo on Nov. 22, 1947 to parents, Bufford S. Ashley Sr. and Mildred Dolores Wilson Ashley. He married Vicki Arnold on Jan. 6, 1971. He retired from the law enforcement after 35 years. He was a member of the Eagle Lake Masonic Lodge No. 366 and the Disabled American Veterans. He was preceded in death by his parents; and sister, Dolores Reed. He is survived by his wife, Vicki Ashley of Sheridan; daughter, Kelley Jean Ashley of Port Lavaca; sisters, Peggy Ashley, Kathleen Bujnoch and Rocky Jahn of Hallettsville, and Nancy Cameron of Cuero; and grandson, Hunter James Coombs. Funeral services took place on Oct. 12 at 10 a.m. at Henneke Funeral Home in Columbus, with Brother Allen Tengler and Brother Charles Wolfe officiating. Interment followed at Cheetham Cemetery in Sheridan. Pallbearers were Shane Jahn, Brian Center, Kyle Arnold, David Holden, Jeremy Arnold, Kevin Arnold and Mark Ross. Honorary pallbearers were Shelby Stockton, Ray Nutt, Sam Center, Sonny Hollub, Jim Daugherty, Steve Nelson, Lester Arnold, Tommy Weisner and Tommy Reed. 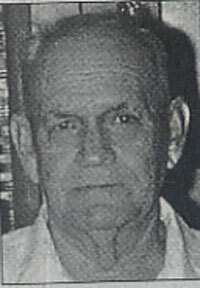 Bufford S. Ashley Sr., 81, of Sheridan, passed away March 30 at his residence. He was born Sept. 11, 1920 in Dayton to John Dewey and Ivy McFarland Ashley. He led a career in agriculture, farming and ranching, and as a heavy equipment operator. Ashley was a member of the International Union of Operating Engineers Local 450 of Houston. He served honorably with the U.S. Navy during WW II, and married Mildred Wilson on Sept. 29, 1944 in San Francisco, Calif. He was a member of the First Baptist Church of Sheridan, former member of the American Legion Post in Halletsville and present member of American Legion Post #108 of Eagle Lake and a member of Weimar Lodge No. 423, Ancient Free and Accepted Masons. He was preceded in death by his parents; wife, Mildred Wilson ; and granddaughter, Jaime Bujnoch. He is survived by children, Dodie and Tommy Reed of Canyon Lake, Peggy Sue Ashley of Sheridan, Kathy and David Bujnoch of Halletsville, Rocky and Johnny Jahn of Halletsville, Nancy and Jimmy Cameron of Sheridan, Wyo., Bufford S. and Vicky Ashley Jr. of Olivia; brother and sister-in-law, J. D. and Teresa Ashley of Sheridan; eight grandchildren; and seven great grandchildren. Funeral services were conducted April 2, from the First Baptist Church of Sheridan, with the Rev. Bob Allison, pastor, officiating. Interment followed in Cheetham Cemetery, Sheridan, with Masonic Rites under the auspices of Weimar Lodge No. 423, A. F. and A. M. and military honors by American Legion Post #108 of Eagle Lake. Pallbearers were grandsons Chris Masera, Dave McKay, Jeff Bujnoch, David Koppenol, Shane Jahn, Travis Gundelach and Cody Cameron. Our community was saddened to learn of the death of Mrs. Dewey Ashley Sunday September 9. She was taken from her home here by ambulance to the Eagle Lake hospital where she was lifeflighted to Houston. She died shortly afterwards. Services were held Wednesday afternoon from the FIrst Baptist Church in Sheridan with burial in Cheatham Cemetery. She was preceded in death by her husband Dewey Ashley, on January 23 of this year. Survivors include two sons and their wives, Mr. and Mrs. Buford Ashley and Mr. and Mrs. J.D. Ashley Jr., both of Sheridan; eight grandchildren and seven great grandchildren and other relatives and friends. J.D. Ashley Jr., 78, of Sheridan, passed away Nov. 21, 2007. He was born in Ganado Dec. 1, 1928 to J.D. and Ivy (McFarland) Ashley Sr. and married Theresa Morgan Oct. 5, 1998 in Galveston. He was a practicing Baptist. He was preceded in death by his first wife Mary Whitley Ashley on May 15, 1998; parents; brother Buford Ashley Sr.; and sister-in-law Mildred Ashley. He is survived by his wife; son John Charles Ashley of Shiner, daughter Vickie Ashley Buenano of Austin and numerous grandchildren and great-grandchildren. Funeral services were conducted Nov. 24 at Kubena Funeral Home in Hallettsville with the Rev. Robert Nixon officiating. Interment followed at Cheetham Cemetery in Sheridan. Pallbearers were Charles Campbell, Wesley Yow, John Yow, Buford Ashley, Steven Yow and Travis Lumpkins. Memorial contributions may be made to The Heart Foundation. Funeral services for John Dewey Ashley, Sr. was held Wednesday, January 25 at 2 p.m. at First Baptist Church of Sheridan with Rev. Bernie Helge officiating. Burial was at the Cheetam[sic] Cemetery in Sheridan. John Dewey Ashley, Sr. was born October 20 1898 in Seadrift, Texas, to Steven Berry Ashley and Sara Adams Ashley. He lived in Ganado, Texas many years before moving to Sheridan in 1957. He is a retired farmer and was active in the First Baptist Church of Sheridan. Survivors include his wife: Ivy Ashley of Sheridan. Sons: Bufford Ashley, Sr. and J. D. Ashley, Jr., both of Sheridan. Sisters: Ruby Horn, Mabel Kirby, Josie Ashley all of Baytown. Hattie Garrison of Pellie, Texas. Brother: Buster Ashley, of Corrigan, Texas; 8 grand and 7 great grandchildren and numerous nieces and nephews and other realatives[sic]. Arrangements were under the direction of Larry Dulany Funeral Home of Eagle Lake. Mary Ellon Ashley, 55, of Sheridan, died Friday, May 15, 1998. Born July 29, 1942 in Sheridan, she was the daughter of Charles R. Buddy and Eva (Botard) Whitley. A homemaker, Mrs. Ashley was a member of the First Baptist Church. Services were held May 18 at First Baptist in Sheridan with Rev. Brent Pittman officiating. Interment followed in Cheetham Cemetery in Sheridan. Services were under the direction of Kubena Funeral Home, Hallettsville. Mrs. Ashley is survived by her husband, J.D. Ashley of Sheridan, daughter, Vickie Buenano of Sheridan, son John Ashley of Shiner, her mother, sister Evelyn Klekar of Sheridan; brother Alton Whitley of Hallettsville and three grandchildren. She was preceded in death by her father and brother, Billy Ray Whitley. Memorial donations may be made to the charity of choice. Mildred Dolores Ashley, 81, of Sheridan, passed away Feb. 9. She was preceded in death by her parents; sister, Bertie Russell; brother, Vincent Wilson; and grandchild, Jamie Bujnoch. She was survived by her husband, Bufford Ashley Sr.; daughters, Dodie Reed of Canyon Lake, Kathleen Bujnoch and Rocky Jahn, both of Hallettsville and Peggy Sue Ashley and Nancy Cameron both of Sheridan, Wyo. ; son Bufford Ashley Jr. of Port Lavaca; eight grandchildren; and four great-grandchildren. Funeral services were hled Feb. 12 at First Baptist Church in Sheridan with Revs. Bob Allison and Terry Horton officiating. Interment followed at Cheetham Cemetery in Sheridan. Mrs. Joyce Ashton died in Columbus Hospital Jan. 7. The eulogy was given by Rev. C. J. Houston Jan. 10 at St. Paul United Methodist Church, and burial was in Willing Workers Cemetery. A lifetime resident of Columbus, she was born March 8, 1931 and attended Columbus schools. She was a member of St. Paul Methodist Church and choir. Surviving are: her husband, Amel Ashton Jr.; mother, Mrs. Lucille Urps; 3 sons, Sammie, Edward and Robert of Columbus and several aunts and uncles. Josh Ashton, J r. was born to Josh and Lena Ashton in Colorado County on March 1, 1921. He attended school in Colorado County and was called to the U.S. Army in 1941. He was united in marriage to Miss Evelyn Turner in 1948; to this union two children were born. He had many. talents; he invested his talents in helping mankind. Everyone that knew him, loved him. He entered eternal rest Sunday, January 23 at 2:30 a.m. Survivors include his widow, Mrs. Evelyn Ashton; sons, Josh, III and wife, Wannia of Houston, Frank and Peggy of Eagle Lake; grandchildren Ronita, Josh, IV, Dawryn, Kimberly, Demetra Bodrick; sisters, Mrs. Estoria Nichols of Garwood, Margaret Harris of Houston, Ethel Scott and Alberta Taylor of Columbus;. brothers, Rodell and A. J. Ashton of Eagle Lake and Lonnie Ashton of Columbus. He was preceded in death by' one brother, Emil Ashton. Josh was employed for 22 years with Ashby Oil and Mud Company before passing away. Pallbearers were Rufus Tillman, Sr., Rufus Tillman, Jr., Cordell Haynes, Sylvester Castle, Alex Woolridge, J. C. Blunson, Alvin Hurd, Creston Cleveland, Darrel Black, Charles McTear, Albert Rouker. Honorary pallbearers were the Brotherhood of Greater Mt. Olive Baptist Church. Arrangements were made under the direction of the Ben Davis Funeral Home in Columbus. Royce Rodell Ashton's long journey on earth ended Monday, August 4, 2003 at Memorial Hermann Hospital. January 6, 1978, a beautiful, bouncing baby boy was born to Herbert and Georgia Ashton. They named him Royce. From the time Royce could speak, he loved church and would often pretend he was the pastor of his own congregation. At an early age, Royce confessed his hope in Christ, joined White Cloud Baptist Church and was baptized by Rev. Obie Rhodes. Royce's educational journey began at Eagle Lake Primary School. From there, he attended Rice High School and went on to Gary Job Corps in San Marcos where he obtained his electrician's license. He was employed at Turner Construction Company until he was injured. Royce loved life and was a mannerable and cheerful child. He was a friend to everyone he met. His maternal grandparents, an aunt and an uncle will greet him in Heaven. He leaves to cherish his memory his parents; two daughters, Viantai and Roydrea; three brothers, Dewayne and Kendrick of Eagle Lake and Brian of Missouri City; one sister, Terrye of Sacramento, California, a loving friend, Valarie Fields of Eagle Lake; nine aunts, Lois Davis of Eagle Lake, Erma Bell (Velenzo) of San Jose, California, Eunice Palmer (Earl) of Sunnyside, Texas, Rheba Fox (Arthur) of Melno Park, California, Leatricia Davenport (Gus) of Sacramento, California, Beverly McClain of Montgomery, Alabama, Shirley Brooks (Oscar), Gloria Hemphill, Christina Moody and Willie B. King, all of Eagle Lake; three uncles, George Hemphill III (Brenda) and Gregory Hemphill of Missouri City and Dennis Hemphill of Eagle Lake; three great-aunts, Eunice Mitchell of San Francisco, Myrtle Hemphill of San Antonio and Jennie B. Hemphill of Eagle Lake; two great- uncles, Elmo Fosha of Houston and Earl (Butch) Israel of Washington, Texas; and a host of nieces, nephews, cousins, other relatives and friends. Funeral services were held at 10:30 a.m. Monday, August 11, at White Cloud Baptist Church with Pastor Obie Rhodes officiating. Interment followed in Rising Star Cemetery in Eagle Lake. Services were entrusted to Lakeside Mortuary. Pallbearers were De Shaun Davis King, Justin Black, Ian Hargrove, Alwin Milligan, Roderick Norris, Dennard Balque, Travis Davis, Shun Shropshire, Justin Thompson, Richard Spates Jr., Eddie Sharrod and Mark Glover. Honorary pallbearers were DeWayne Davis, Kendrick Pipkins, George Hemphill IV, Rev. Malcolm Bell, Ervin Hurd III, Darrell Norris, Brian Bell, Rev. Clarence Davis III, Deacon Victor Davis, Brandon Hemphill, Brian Mason, Roland Hemphill Jr., Dennis Hemphill II, Craig Bell and the White Cloud Male Chorus. Sylvia Ashton, 84, a Colorado County Resident, died Wednesday, April 27, 1994. Born Aug. 22, 1909, in Columbus, she was the daughter of Hension and Sylvia (Dennis) Jackson. She attended school in Columbus and was member of New Greater Smith Baptist Church in Columbus, where she served as usher. She and Amel Ashton, her husband of 65 years, were the parents of five sons and four daughters. Funeral services were held Monday, May 2, at New Greater Smith Chapel Baptist Church with Rev. G. W. Clark officiating. Interment followed in Willing Worker's Cemetery, Columbus. Services were under the direction of Ben Davis Funeral Home, Columbus. Pallbearers were her grandsons, Robert James Ashton, Paul Ashton Jr., Ronnie E. Ashton, Earl Ashton, Clyde Ashton Jr., Frederick Ashton and Mark Ashton. Honorary pallbearers were William Wright, Willie S. Gleen, Mitchell Davis, L. J. Stewart and Clarence Bratcher. Mrs. Ashton is survived by her children Amel, Maude, Johnnie, Willie, Gus, Mary, Ira Lee, Clyde, Paul and Sylvia; 35 grandchildren; five great-grandchildren; 25 great-great-grandchildren; and a host of nieces, nephews, friends and loved ones. Willie "Gus" Ashton, 69, of Columbus, passed away Dec. 31 at Columbus Community Hospital. He was born to Mr. and Mrs. Amel Ashton Sr., Aug. 23, 1937. He was a lifelong resident of Columbus and graduated from Columbus Public School. He was a member of Booker Memorial Temple COGIC. He was preceded in death by his parents; and brother, Amel Ashton Jr. He is survived by his wife, Gloria; sisters, Maude Ashton Bratcher of Columbus, Mary Jane Ashton Smallwood of Wharton, Ira Lee Ashton Johnson and husband Melvin of San Antonio and Sylvia Ashton Wright and husband William of Columbus; brothers, Johnny Ashton and wife Johnnie Mae of New Ulm, Clyde Ashton and wife Lillian of Portland, Ore. and Paul Ashton and wife Sandra of Columbus. Funeral services were conducted Jan. 13 at Booker Memorial Temple with the Rev. Carl Evans, pastor, officiating. Interment followed at Gay Hills Cemetery in Columbus. Pallbearers were Robert Urps, Albert Denley, Kirk Glenn, Eddie Glover Jr., Larry Alley, Douglas Bratcher, William Wright Jr. and Eddie Glover Sr.
Honorary Pallbearers were William Wright Sr., Thomas Wright, Clarence Bratcher and Paul Ashton Sr. It is with sentiments of sincere sorrow and regret that we chronicle the death on Monday evening last at 9 oclock, of Mrs. Estelle Atkinson of this city, after a protracted illness of five weeks, at the residence of her mother, Mrs. Rose Riley. She died of typhoid-malarial fever. Deceased was born in Columbus, July 10, 1859, passed the happy days of her childhood and secured her education in our midst. She inherited many of the noble traits of her intelligent and lamented father, and by her kindly disposition and generous nature, had endeared to her a large circle of friends. On the 23d of March of the present year, she was happily married to the man of her choice, Mr. Geo. A. Atkinson, late of Kentucky, and as we looked upon the bridal, and thought of the hopes and aspirations of the two young, loving hearts, a happy future, crowned with the roseate hues of long life and prosperity, involuntary presented itself. But Death, the insatiate reaper, the leveler of all earthly distinctions, hopes and ambitions, has rudely blasted the dream of youth, and consigned to the sod the fair young bride, and left disconsolate a loving husband and sorrowing relatives. A great man has said that human fortitude should be equal to human misfortunes, but it is hard, indeed, for the surviving husband to think of the form of his cherished idol reposing in that dreamless sleep which knows no waking, and the grief of mother, brothers and sisters is inconsolable. The Rev. J. J. Clemens says: I believe the blessed dead are permitted to take in interest in the welfare of those they love, but not even the strongest earthly attachments could ever make them wish to leave that blessed company in Paradise, and come back to earth with its cares and sorrows, and temptations and falls. This is a happy thought, and may afford consolation to surviving relatives and friends. At 4 oclock Tuesday evening the body of deceased was committed to the tomb in the presence of a large number of our citizens, who shared with relatives the grief for the dead. Rev. C. H. Howard, Rector of St. Johns Church, at this place, of which deceased was a consistent member, officiated. To the bereaved relatives we offer our sincere condolence. Edward Beecher Atwell passed away Feb. 6 in Columbus. He was born March 21, 1911 in Fort Worth and moved to Columbus in 1975. He served in the U.S. Army in World War II, was a member of the Masonic Lodge in Fort Worth, and belonged to the First United Methodist Church in Columbus. He was retired from the Fort Worth National Bank as well as the State of Texas as a state savings and loan examiner. He was preceded in death by his wife of 49 years, Nan Ella Harp Atwell; and his parents Edward Beecher Atwell Sr. and Lottie Willis Atwell. He is survived by his daughter Ann Atwell Lindsey of Frisco; granddaughter Mandy Margaret Mudge of Frisco; grandson Edmund Webster Mudge IV of Frisco; and sister Doris Roland of Arlington. Graveside services were conducted Feb. 9 at Odd Fellows Rest Cemetery with Pastor J. Paul Bruhn officiating and under the direction of Henneke Funeral Home of Columbus. Nan Ella Harp Atwell, 73, of Columbus, died Friday, Oct. 6, 1995 at Memorial City Hospital in Houston. Born Nov. 29, 1921 in Fort Worth, she was the daughter of Frank Albert Sr. and Nannie Jennie (Green) Harp. On July 6, 1946, she married Edward Beecher Atwell. Mrs. Atwell, who had resided in Columbus for the past 21 years, was a member of the First United Methodist Church in Columbus, where she was an active member of the Rummage Ministry. She was also active in the Columbus Garden Club and had served as chairperson of the Nesbitt Memorial Library Advisory Board. Mrs. Atwell had been awarded a lifetime membership in the United Methodist Women of Boulevard Methodist Chruch in Fort Worth. A graveside service and interment were held Oct. 9 at Odd Fellows Rest Cemetery in Columbus with Rev. Scott Herren officiating. Services were under the direction of Henneke Funeral Home in Columbus. Mrs. Atwell is surived[sic] by her husband, of Columbus, daughter Ann Atwell Mudge, granddaughter Mandy Margaret Mudge and grandson Edmund Webster Mudge IV, all of Plano; sister Ruth Harp Frederick of Corpus Christi; sisters-in-law, Doris Marie Rowland and husband Lou of Arlington, Texas and Martha Elizabeth Healy and husband Kenneth of San Leandro, Calif; four nieces and three nephews. She was preceded in death by her parents; brothers, Frank Harp Jr. and Robert B. Harp; and a sister, Helen Elizabeth Baker, who had also resided in Columbus. Funeral services for Frank Auerbach, 66, prominent cattleman of Columbus were held here at the family residence this afternoon at three o' clock. Rev. Frank Walker of Eagle Lake, Episcopal rector officiating. Mr. Auerbach died suddenly Wednesday morning after having been ill only a few days with pneumonia. Death was due to heart trouble. He was a native of Columbus; he was born June 28th, 1872. He had been in the cattle business here for 50 years. Interment was in Odd Fellows Rest under direction of Untermeyer Bros.
Funeral services for Mrs. Frank Auerbach were to be held this afternoon at 5 at St. John's Episcopal church with Eastern Star burial rites at Odd Fellows Rest. Rev. R. A. Park officiating. Columbus Funeral Home had charge of arrangements. Designated as pallbearers were Dr. W. W. Gunn, W. H. Miekow, R. B. Moss, E. R. Spencer, R. Lee Hastedt and L. S. Lawrence. Mrs. Auerbach died at Bell Memorial hospital yesterday afternoon following a stroke suffered while working in her yard last Thursday. Lillian Zwiener Auerbach was born in Columbus on September 7, 1881, a daughter of W. F. and Ida Dietrich Zwiener. She graduated from Columbus high school and later attended business college in Houston. On March 9, 1914, she was married to Frank Auerbach at the First Presbyterian church in Houston, with Rev. William States Jacobs performing the ceremony. Mr. Auerbach preceded her in death on January 11, 1939, and her mother also died that year. Mrs. Auerbach was active in club work here. She was a member of St. John's Episcopal church and was president of the Episcopal Ladies' Guild. She had served twice as secretary of the Eastern Star lodge, her services in this capacity covering a period of about 17 years. She was co-chairman of the Red Cross War Fund campaign for Columbus and was an associate member of the Study Club. Surviving are her sister Mrs. Charles B. Stafford of this place, and two brothers, Charles W. Zwiener of Austin and Leon F. Zwiener of Fredericksburg. Funeral Services For Mrs.Sidonie Auerbach Held Wednesday. Funeral services for Mrs.Sidonie Auerbach, 55, a resident of Columbus for 25 years, were held Wednesday afternoon at the family home in Columbus. Mrs. Auerbach died at her home here Tuesday morning at 10:30 after an illness of several years. Interment was in Odd Fellows Rest under direction of Columbus Funeral Home. Rev. R. Heise, Lutheran minister of La Grange, officiating. Mrs. Auerbach was born September 24th, 1883, at Shaws Bend, the daughter of Mr. and Mrs. John Lange. She had been a member of the Lutheran church for twelve years and a resident of Columbus for 25 years. She was married November 7th 1912 to Gus Auerbach. Mr. Auerbach died January 13th, 1928. Mrs. Auerbach is survived by two sisters, Mrs. F. A. Tengler and Mrs.Ollie Alley of Columbus, two brothers, E. J. Lange of Columbus and R. L. Lange of Eagle Lake, two nephews, Irvin Alley and Marvin Lange of Columbus. Pallbearers were Irvin Alley, Marvin Lange, Duane Sheridan, Elbert Tait, Hugh Sheridan and Thomas Glithero. Houston: Mrs. Nannie Payte, Emory Daniels, Mrs. Fay Daniels, Mrs. Frank Stuckly. Eagle Lakes: Mr. and Mrs. R. L. Lange and Duane and Hugh Sheridan. Brenham: Mrs. Hulda Lange, Mrs. Robert Lange and Mrs Ben Lange. Bellville: Mrs.Ida Bartay and Mr. and Mrs. Emile Muery. Mrs. Jocelyn Alley of Rosenberg and Clifford Leyendecker of Lockhart. Those from out of town attending the funeral were: Mrs. H. W. Graves, Mr. and Mrs. C. P. Hoyo, Mrs. Bruce McCarty, Mrs. H. E. Brower, Mrs. James Reed and Mrs. Elo Linke all of Eagle Lake. Daisy Louise Aull, 88, of Sugar Land, passed away July 11 at her residence. She was born in Eagle Lake, April 15, 1914 to August "Gus" Wagner and Valentine "Vallie" (Stockbridge) Wagner. She was preceded in death by her parents; and husband, Capt. Herbert H. Aull, USN Ret. She is survived by daughters, Janice Aull of San Antonio and Mary Beth Constant of Sugar Land; sons and daughters-in-law, Bill and Sue O'Dowd of Houston and Ken and Jan Aull of Fairfax, Va.; seven grandchildren; and five great-grandchildren. Funeral services were conducted July 15 from Christ Episcopal Church of Eagle Lake with the Rev. Stephen R. Whitfield, rector, officiating. Interment followed in Lakeside Cemetery in Eagle Lake. Pallbearers were Kirk Price, Curtis Boyd, Douglas Constant, Justin Constant, Kenneth Constant, Kennth Aull, Bill O'Dowd, Paul O'Dowd and Gary O'Dowd. Honorary pallbearers were Robert Samuel Martin and Jerry Evoritt. Era May Pinchback Ault passed away in San Antonio on April 25, 2000. She was born September 24, 1916, in Garwood, Texas, to the late Joseph and Ada Griffitts Pinchback. She came to Victoria as a bride, having graduated from Methodist Hospital School of Nursing, Houston, as a Registered Nurse. She was employed by Citizens Hospital for 11 years. She was active in Eastern Star, Decora, Club 20, First United Methodist Church, and Citizens Hospital Pink Ladies. She is survived by her daughter and son-in-law, Mary Frances and John Merson of San Antonio, daughter, Judy Coffman of Dallas, grandchildren, Jordan Merson, Jeffrey Merson, and Cynthia Coffman, and many dear friends. In addition to her parents she was preceded in death by her husband, Jordan C. Ault. Visitation will be Thursday, April 27, 2000, from 7:00 -- 8:00 p.m. at Rosewood Funeral Chapels. Funeral Services will be Friday, April 28, 2000, at 10:00 a.m. at Rosewood Funeral Chapels, the Rev. Laura Merrill officiating. Graveside Services will be Friday afternoon at 2:30 p.m. at Lakeside Cemetery in Eagle Lake, Texas. Memorials may be made to First United Methodist Church, the American Heart Association, or Shriner's Crippled Childrens Hospital. Arrangements by Rosewood Funeral Chapels, 361/573-4546. The Victoria Advocate. Originally published on: April 27, 2000 on page 9A. Era May Pinchback Ault, 83, of San Antonio, and formerly of Victoria, died Tuesday, April 25, 2000. She was born Sept. 24, 1916, in Garwood, to the late Joseph and Ada Griffitts Pinchback. She graduated from Methodist Hospital School of Nursing in Houston as a registered nurse. She was employed by Citizens Hospital for 11 years. She was active in Eastern Star, Decora, Club 20, First United Methodist Church and Citizens Hospital Pink Ladies. Survivors: daughters, Mary Frances Merson of San Antonio and Judy Coffman of Dallas; and three grandchildren. Preceded in death by: husband, Jordan C. Ault; parents. Visitation was 7 to 8 p.m. Thursday at Rosewood Funeral Chapels. Services will be 10 a.m. today at the funeral home chapel, the Rev. Laura Merrill officiating. Graveside Services will be 2:30 p.m. today at Lakeside Cemetery in Eagle Lake. Rosewood Funeral Chapels, Victoria, 573-4546. Memorials: First United Methodist Church, 407 N. Bridge, Victoria, 77901; The American Heart Association Victoria Division, P.O. Box 4572, Victoria, 77903; or Shriner's Crippled Childrens Hospital, 6977 S. Main, Houston, 77030. Victoria Advocate, Originally published on: April 28, 2000 on page 7A. 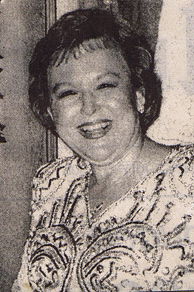 Linda Earline Aurich passed away Dec. 26 in Houston. She was born Oct. 7, 1916 in Shaws Bend to Herman August and Emma Brune Barten. She was baptized Jan. 7, 1917 in Shaws Bend by Rev. H. Krause of Fayetteville and confirmed on March 20, 1932 in the Shaws Bend Lutheran Church by Rev. Otto Lindenberg of Frelsburg. On Nov. 21, 1937, she married Lester Paul Aurich in her parents home by Rev. H.C. Poehlman of Frelsburg, TX. Of this marriage, two daughters were born, Lelda Peschel, of Shaws Bend, and Lois Kautz, who was tragically killed in a car accident. In growing up, Linda worked on the family farm and in her later years she was a housewife, worked as a cook three years for the hospital and in the school cafeteria for three years. 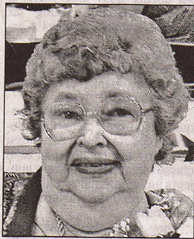 Linda Aurich was a member of St. Paul Lutheran Church, Mary Martha Circle, Shaws Bend Home Demonstration Club and AARP. She is survived by her daughter, Lelda Peschel and husband, Harold, of Shaws Bend; son-in-law, Daniel Kautz and wife, Barbara, of Columbus; four granddaughters, Halissa Toddy and husband, Gary, of Fayetteville, Gallia Kapel and husband, Bubba, of Columbus, Marliece Poncik and husband, Ardene, of Columbus, and Kim King and husband, Ron, of Dallas; two step-grandsons, Jerrod Gross and wife, Lena, of Houston and Austin, and Jason Kautz and wife, Carrie, of Austin; eight great-grandchildren; and one step-great granddaughter. She was preceded in death by her parents, Herman and Emma Brune Barten; husband, Lester Paul Aurich; daughter, Lois Kautz; sister, Elsie Meyer; and great-grandson, Ryan Kapel. Funeral services were held at 2 p.m., Friday, Dec. 30, at St. Paul Lutheran Church in Columbus with Rev. Arlyn Hausmann officiating and under the direction of Henneke Funeral Home in Columbus. Burial was in Brune Cemetery in Shaws Bend. Pallbearers were Gary Toddy, Bubba Kapel, Ardene Poncik, Ron King, Jerrod Gross and Jay Kautz. Paul Otto Aurich, 88, was laid to rest in New Ulm cemetery Friday after services in the New Ulm Lutheran church, Rev. Harold Fehler officiating. Columbus Funeral Home was in charge. Mr. Aurich died in Columbus hospital Jan. 24. A retired farmer, he had spent his entire life at New Ulm. Son of Otto and Wilhelmina Korth Aurich, he was born there Sept. 13, 1879. He was a member of the Lutheran church. His widow, Bertha Schutte Aurich, whom he married in 1906(?) survives along with a son, L. P. Aurich of Columbus; 4 grandchildren, R. J. Danchak Jr. and Robert Lee Danchak of Houston; and Mrs. Harold Peschel and Mrs. Daniel Kautz of Columbus and 6(?) great-grandchildren. A daughter, Mrs. R. J. Danchak, died in 1939. Pallbearers were Elmo Klatt, Harold Wakehouse, Wilbert Gross, C. A. Hoppe, Bardo Kraus and Carl Heinsohn. Mr. Avery died Aug. 21 at Hermann Hospital in Houston after a brief illness. He was born Feb. 2, 1926 at Hale Center to Annie May and John Avery. Mr. Avery grew up in Hale Center and was a veteran of the U.S. Navy. He worked in construction for about 40 years, building water treatment plants all over the country. Mr. Avery lived a Christian life and was kind hearted and generous. He married Margaret Verunac 20 years ago and retired in Weimar. Edd was a loved grandfather and great-grandfather. He was noted for his funny sayings. When asked how he was doing, he was always "fine as frog hair." He treasured his family and looked forward to family gatherings and Canasta marathons. Survivors include, daughter Barbara Mills and her husband Roger of Childress; sons, Lynn and his wife, Betty of Grapeland, and Mike of Palestine. Also, surviving are a stepdaughter, Patsy Kainer and husband Davis of Cuero, and stepson, Jimmy Verunac and wife Betty of Yoakum. Also, two brothers, Robert and wife Lula of Glen Rose and Joe and wife Betty of Goodrich. Four grandchildren, eight great-grandchildren, one great-great-grandchild and numerous nieces and Nephews also survive. He was preceded in death by his parents, and two sisters. Margaret Verunac Avery, 80, of Weimar, passed away Aug. 15 at Cuero Hospital. A private burial [cremated] and public memorial was held Aug. 19 at Equippers Outreach Fellowship. Margaret was born Aug. 11, 1927 in Memphis, Tenn.
She was a book keeper and lived in Weimar for 60 years. She was survived by her son and daughter, Jimmy Verunac of Yoakum, and Patsy Kainer of Cuero; sister, Mary Herring of Columbus; five grandchildren; and two great-grandchildren. Her husband Ed Avery preceded her in death. Cleopatra Axel, 66, of Altair, died on March 13. She was born on October 10, 1920, a daughter of Charlie and Rachel Ann Brown. She was united and baptized at an early age at Wright Grove Baptist Church in Altair. She married Elzie Axel on February 2, 1941 and to this union five children were born. Funeral services were conducted on Wednesday, March 18 at Wright Grove Baptist Church in Altair with Rev. T.J. Cunningham officiating. Burial followed in Brown Estate in Altair. Arrangements were under the direction of Mann’s Funeral Home of Eagle Lake. She was preceded in death by a daughter, Elsie Marie Axel. Survivors include her widower, Elzie Axel; four children, Charles Axel, Joe Lester Axel, Leroy Axel and Shirley Rowe-Hemphill; 10 grandchildren, Steven Axel, Charis Marie Axel, Charles A. Axel, Joe Lester Axel Jr., Desarie M. Axel, Lakesha Axel, Adrian R. Axel, Leslie J. Glover, Thomas E. Glover, Bunae T. Leonard; and a host of nieces, nephews, relatives and friends. Pallbearers were Charles Axel, Joe Lester Axel, Leroy Axel, Clifton Glover, Joe Lee Glover, Gene A. Glover, John O. Glover, Edward Glover, Ernest Glover. Deacons of Wright Grove Baptist Church were named by the family as honorary pallbearers. Deacon Elzie Axel, 85, of Altair passed away July 27, 1993. He was a native of Colorado County, born December 12, 1917, to John and Emma Axel. He was united with the Wright Grove Baptist Church. On February 2, 1941, he married Cleo Patra Brown. He served in the U.S. Navy during World War II. He was preceded in death by his parents and a daughter, Elzie Marie Axel. Survivors include his wife; daughter, Shirley Rowe Hemphill of El Paso; sons, Charles and Leroy Axel of Altair and Joe L. Axel of Houston; sister, Oda Lee Glover; brother, Lester Axel; daughters-in-law, Anna and Deborah Axel; 11 grandchildren; and a host of other relatives and friends. Funeral services were held Friday, July 30, at 11 a.m. in the Wright Grove Baptist Church at Altair with Rev. T.J. Cunningham Jr. officiating. Interment followed in the Brown-Axel Cemetery at Altair. Arrangements were directed by Memorial Chapel Funeral Home of Eagle Lake. Serving as pallbearers were Ernest, Thomas, Clifton, John and Gene Glover, Willie S. Chavis, Leo and Benjamin Axel. Honorary pallbearers were Charles, Joe, Joe L., Leroy and Lester Axel and Edward Glover. Funeral services were held for Elzie Marie Axel January 7 at Right Grove Baptist Church in Altair with Rev. Lester Turner officiating. Interment was at Brown Family Cemetery in Altair. Elzie Axe! was born July 5, 1943 in Altair to Elzie and Cleo Brown Axel. She was a resident of Altair all her life. She was a member of Right Grove Baptist Church, where she served as an organist, secretary for her Sunday School Class, 1961 graduate of Eagle Like High School, and had been active in the 4H Club. Survivors are her parents, Mr. and Mrs. Elzie Axe! of Altair; her God-daughter, Leslie Glover of Altair; one sister, Shirley Rowe Hemphill of El Paso; three brothers, Charles of Altair, Joe of Houston, Leroy of Altair; numerous nieces and nephews and a host of friends and loved ones. Pallbearers were Joe Lee Glover, Clifton Glover, John Glover, Ernest Glover, Melvin Rowe, Walter Lowe. Honary[sic] Pallbearers were Joe Lester Axel, Charles Axel and Leroy Axel. Funeral arrangements were under the direction of Dulany Funeral Home of Eagle Lake. Hertha Lee Katherine Perrino Axel, 74, of Columbus, died Thursday, Feb. 1, 1996 in Houston. Born April 11, 1921 in Rice Grove she was the daughter of Samuel and Florida (Lockett) Perrino. On May 3, 1938, she married Willie James Axel in Columbus. Mrs. Axel was a member of St. Paul United Methodist Church in Columbus. Funeral services were held Feb. 5 at St. Paul United Methodist with Rev. Elsie Ferguson officiating. Interment followed in City Cemetery in Columbus. Tommy Taylor Funeral Home, La Grange, was in charge of arrangements. Mrs. Axel is survived by sons and daughters-in-law, John and Shirley Axel and Thomas and Thelma Axel, all of Columbus; daughters and son-in-law, Florida Glover and Willie Mae and Martin Williams, also all of Columbus, Barbara Buford of San Antonio, Sharonda Metters of Houston, and Donna Sue Jenkins of Pamona, Calif.; 17 grandchildren and three great-great-grandchildren. She was preceded in death by her parents; her husband; a brother and sister, a grandson and a granddaughter. I, Irene Mary Alley Axel, NOW in sound mind and body, want to leave the following words with you all. This is not an obituary that is commonly used in services like this, but a letter of life. I was the fifth kid of nine. I was born to Minnie and Andrew Alley Sr. I learned to love, share, care and pray at an early age. I was five years old before I was baptized, because I was afraid of water. My early childhood at Green Grove Baptist Church in Alleyton was my "Footprints in the Sand". I attended elementary school in Alleyton and high school in Columbus. I was very sickly during my high school days and spent 56 days in a Galveston hospital. Every day, I prayed that someone would come and see me. One day, the doctor came and said: "Irene, you are well!!" After I was released by the doctor, it was another two days before my parents could come and get me. I started back to school and had a lot of catching up to do; and catch up I did. After high school graduation, I attended a home extension course at Prairie View A & M University. Guess what, I saw Jack Axel for the first time. I did not see him again until he drove up in our family's yard. He had driven Jesse Ward to visit my sister Ruth. I thank Ruth and Jesse for bringing Jack into my life. I was the last of five daughters to get married. Jack and I began our early life in Garwood. We finally moved to Altair and planted our roots. For two years, we reared our two nephews. Five years later, we were blessed with Mary Dell. Six years later, Finest Andrew was born. Now, our family was a fearsome foursome. As you know, time will pass, both Mary and Finest grew up and left Jack and I with an empty nest. I traveled abroad and saw things in my life that I'd never seen before. I only had one job outside of Axel Farm and that was with the Rice Consolidated School District. Later in life, Jack became ill. He finally went to his heavenly home. Since Jack's death, and before, I have battled illness. Mary and Finest took good care of me during my time of trials and suffering. At a peaceful end, it was God's "Footprints in the Sand"that carried me through. My blessing came with an extended family: son-in-law, Wilbert L. Williams; daughter-in-law, Debra White Axel; granddaughters, Jessie Irene Black and husband, Russell E. Black, and Candace Keyatlis and Courtney Katrice Axel; grandson Finest Jack Axel; great-grandson, Justin Daniel Black; and great-granddaughter, Jasmine Danielle Black. I would like to leave cherished happy memories to my remaining sister and brother, Ruth Ward; Elvin Sr., Woody and Willie R. Alley along with a list of nieces, nephews, relatives and friends. Funeral services were held at 1 p.m. Saturday, January 12, from St. Paul United Methodist Church in Columbus with Rev. Charles Purnell, Jr., pastor, officiating. Arrangements were under the direction of Ben Davis Funeral Home in Columbus. Casketbearers were Elvin Jr., Kenneth, Benjamin, Eddie, Marvin and Larry Alley; Cecil Mooney; Roger Olier; Roy and Junill Williams; Gene Glover; Terry Gant; and Lawrence, Lee Roy and Charles Axel. Honorary casketbearers were Elvin Sr., Woody and Willie Alley; Jimmy Carter; and Tonie Williams. Leroy Axel, 54, of Altair, passed away Jan. 3. He was born in Colorado County, Feb. 20, 1950 to Elzie and Cleo Patra Axel. He was preceded in death by his parents; and sister, Elzie Marie. He is survived by his wife, Deborah Axel; daughter, Desanie Axel; son, Adrian Axel; step-daughter, Bernita Fry; granddaughter, Chelsiea Fry; brothers, Charles and Joe Axel; and sister, Shirley Rowe-Hemphill. Funeral services were conducted Jan. 8 at Wright Grove Baptist Church in Altair with the Rev. T.J. Cunningham officiating. Interment followed at Brown & Axel Cemetery. Pallbearers were Finest Axel, Earnest and Thomas Glover, Ronnie and James Fry and Frank Fry Jr.
Honorary pallbearers were Joe Axel Sr., Charles Axel, Joe Axel Jr. and Adrian Axel. Lester Axel passed away September 17. He was born October 7, 1921 to John and Emma Axel in Altair. After graduating from high school he joined the Army on October 8, 1942 where he served for three years. While serving he fought battles in Normandy, Northern France and Rhineland. He also served proudly in World War II. He was a Private First Class of Company C 354th Engineers. While serving he received an EAME Campaign medal with three bronze stars, a Good Conduct medal, one service stripe, and four overseas service bars. He served in the U.S. Army for 10 months and six days and overseas for two years one month and 11 days. He was honorably discharged from the Army October 14, 1945. After the Army Lester moved to San Antonio where he met Ora Lee Nickson. They were joined in holy matrimony December 16, 1953. Later they were blessed with two children, Michael and Daphne. He worked for the Southern Pacific Railroad Company for 25 years and retired in 1965. While in San Antonio he attended Harpers Chapel Baptist Church, Trinity Baptist Church and Morning Glory Baptist Church where he served on the Deacon Board and played the organ. He later moved to Altair and resided their for many years. He worked for numerous funeral homes after retirement. He joined Wright Grove Baptist Church where he was a Deacon and Organist until he was unable to any longer. Preceding him in death were his parents; brothers, John and Elzie Axel; wife, Ora Lee Axel; son, Michael Axel; and grandson, Travis McElwee. Lester is survived by his daughter, Daphne McElwee; granddaughter, Kimberly Axel; grandson, Johnathan McElwee; his dear sister, Oda Lee Glover; and a host of nieces and nephews. Homegoing services were held Saturday, September 26 from Wright Grove Baptist Church in Altair with Rev. T.J. Cunningham officiating. Pallbearers were relatives and friends. Sympathy is extended to the family their loss. Mae Etta Axel, 87, of Garwood passed away June 1. She was born Feb. 20, 1915 in Colorado County to William and Cora Axel. She attended school in Altair. She was a member of Wesley Chapel United Methodist Church in Altair, and later became a member of St. Paul United Methodist Church in Garwood. She was preceded in death by her parents, William and Cora Axel; sisters, Virginia Ruth Calvin and Doris Lucille Axel; brothers, James Gilmore Axel, William Axel and Lawrence Earl Axel. She is survived by her brother and sister-in-law, Norman and Alberta Axel of Garwood; sisters-in-law, Thelma Lee Axel of Garwood and Annie Mae Axel; aunt, Mattie Lee Collier of Columbus; nieces, Billie Ruth Axel and Ire Steen Woods of Columbus; and a host of cousins, great-nieces, nephews, relatives and friends. Funeral services were held Saturday, June 8 at St. Paul United Methodist Church in Columbus with the Rev. Charles Purnell, Jr. officiating. Interment followed at William Paradise Cemetery in Vox Populi. Serving as pallbearers were her nephews and cousins. Shirley Jean Coleman Axel, 63, of Columbus, passed away Feb. 13 at Columbus Community Hospital. She was born to Hubert and Bessie Mae Hargrove Coleman on April 23, 1938 in Columbus and married John Henry Axel on July 24, 1959. She was a Licensed Vocational Nurse and member of the New Greater Smith Chapel Baptist Church in Columbus. She was the Founder and CEO of the Sihouettes, president of the Deacon Board of Deacon's Wives for the La Grange District, president of the Thank You for the Kindess Organization and Mother of the Community. She was preceded in death by her parents; and one granddaughter, Demetria D. Axel. She is survived by her husband; sons and daughter in laws, John H. and Deborah Axel III of Dallas and Willie James and Suzy Axel of El Paso; daughters, Glenda Walton of Columbus and Gwendolyn Bullock of El Paso; sisters and brothers-in-law, Sally and Edward Scott of Altair, Barbara and Robert Waddle of Columbus, Betty and Robert Coreathers of Columbus; brothers and sister-in-law, Clarence and Eunice Bratcher of Columbus and Clarence Glover of Eagle Lake; aunts, Willie M. Johnson and Gussie Glover of Columbus; brother-in-law and wife, Thomas and Thelma Axel; sisters-in-law, Barbara Burford of San Antonio, Florida Glover of Columbus, Donna Sue Jenkins and Sharonda Axel of California, and Willie Mae and husband the Rev. Martin Williams of Columbus; 12 grandchildren; and 11 great-grandchildren. Funeral services were conducted Feb. 18 at New Greater Smith Chapel Baptist Church in Columbus with the Rev. Joseph Hargrove officiating. Interment followed at Columbus City Cemetery. Pallbearers were Arthur Pierson, Robert Hargrove, Percy Coleman, Thomas Carter, Gary Williams and Leo Hargrove. Born July 12, 1889, his parents were Nathan and Ella Axel. Will attended school in Columbus. Feb 8, 1916, he was married to Florence Huffman. The couple had 13 children, 10 of whom died earlier. Besides his widow, he is survived by 2 sons, John and Will, and a daughter, Mattie Pope, all of Columbus, also by 8 grandchildren 3 great-grandchildren; 2 brothers, Ulysses Axel of San Antonio and West Coleman of East Bernard; one aunt, Luvenia Bratcher, and 2 uncles, Sam and Ned Axel. He was retired from his job with Southern Pacific in 1954. A Columbus gravel worker was killed and two others narrowly escaped death or injury when the dump truck in which they were riding plunged 20 feet into a water-filled gravel pit near Columbus Saturday. It was one of 9 car or truck mishaps in the county including Monday. Injuries were minor in the others, although property damage was high in some cases. Emmett Thomas, who was riding in the cab with Axel, escaped after the truck fell into the pit. Leo Hargrove, riding in the truck bed, leaped to safety when it left the gravel road. The accident occured[sic] five miles southwest of Columbus. The three men, employees of the Horton & Horton company, were returning from work when Axel lost control of the truck. The water-filled pit was on company land.